If you thought camper vans couldn’t be elegant and cozy, think again. Jack Richens of This Moving House converted a 2012 Mercedes Benz Sprinter into a roomy camper van that can accommodate a four-person family on week-long holidays to the forest or the beach. Inspired by boat bunk designs, Richens added details like stacked beds to really open up the long wheelbase van and maximize space. Richens and his girlfriend enjoyed traveling in a converted mail delivery van until it died. They then shopped around for an alternative mode of getaway transportation, only to find hideous motor homes and impractical camper vans. 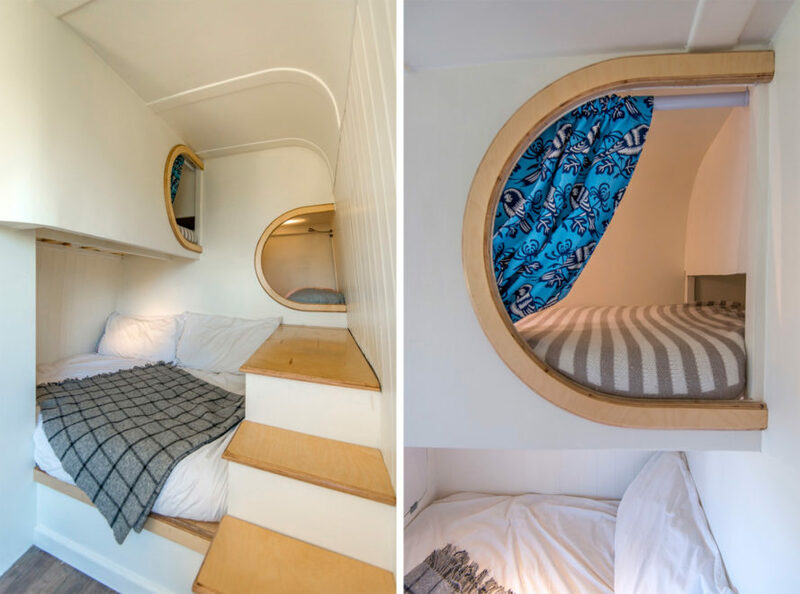 So his girlfriend designed their dream camper van, and Richens built it largely by himself, with some advice from his dad. At the front of the van, four captain chairs – the original fixtures – provide seating. The front two chairs can swivel around, and a table in-between the chairs allows everyone to grab a bite to eat together. Behind the dining area is a little kitchen, which is equipped with a sink, two burners, some cabinet space, and a small counter for preparing food. 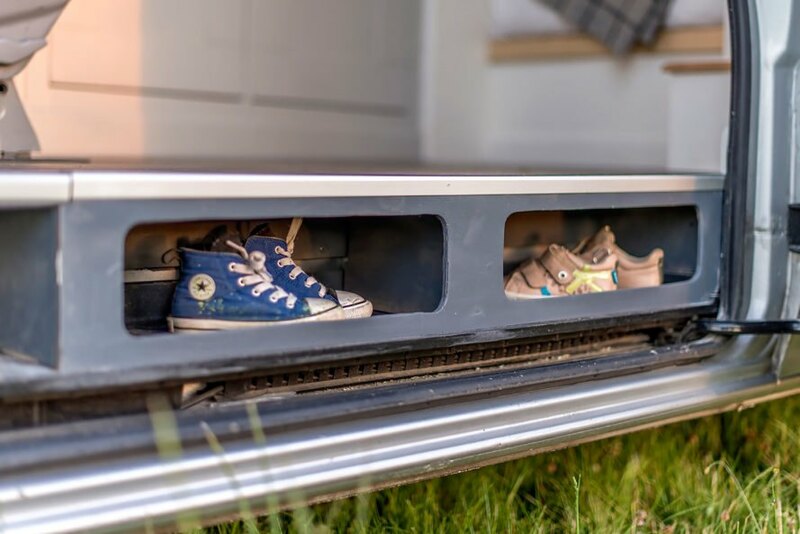 Ingenious storage beneath the floor provides an extra place to stash shoes – and lessen the amount of sand and dirt tracked into the camper. The cool camper cost about $10,000, with equipment and materials costing $8,500. You can read more about the construction process on This Moving House’s blog, and Richens has also started taking commissions to convert other vehicles into comfortable homes away from home. This is very well done. Beautiful! If you thought camper vans couldn't be elegant and cozy, think again. 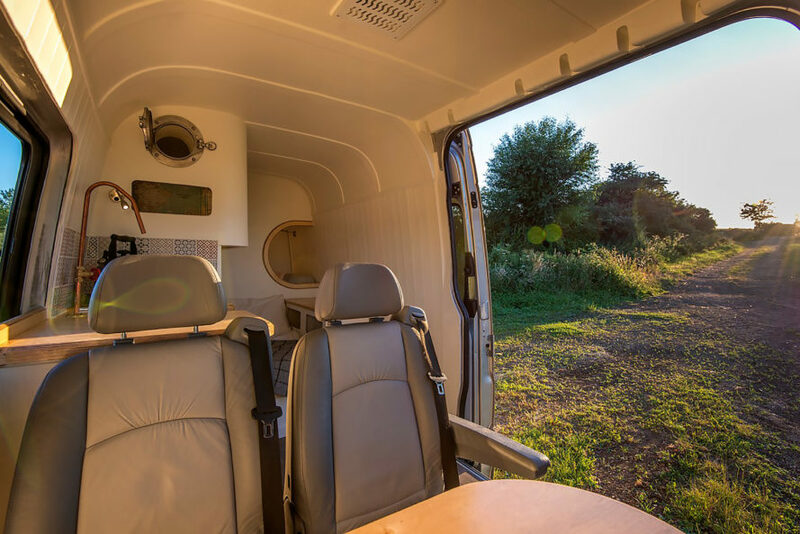 Jack Richens of This Moving House converted a 2012 Mercedes Benz Sprinter into a roomy camper van that can accommodate a four-person family, providing a vehicle perfect for week-long beach holidays. Inspired by boat bunk designs, Richens added details like stacked beds to really open up the long wheelbase van and maximize space. Richens and his girlfriend designed and converted a Mercedes Benz Sprinter. There's a table between the original captain chairs so the family can sit down for dinner. Ingenious storage beneath the floor provides a space to stash shoes. Some of the chairs swivel so the family can gather together. The kitchen includes a sink, cabinet space, counter space, and two burners. Stacked beds offer sleeping space for four. Boat bunk designs inspired the stacked beds. This Moving House is taking commissions to convert other vehicles. If you thought camper vans couldn't be elegant and cozy, think again. 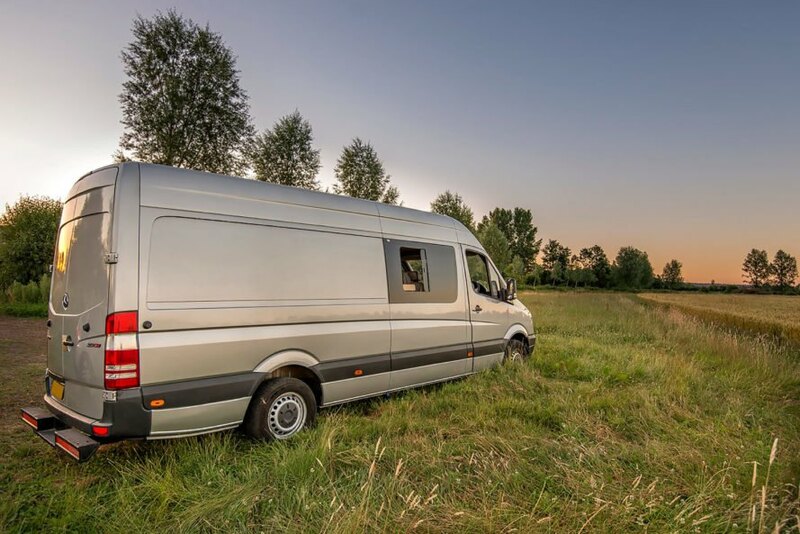 Jack Richens of This Moving House converted a 2012 Mercedes Benz Sprinter into a roomy camper van that can accommodate a four-person family on week-long holidays to the forest or the beach. Inspired by boat bunk designs, Richens added details like stacked beds to really open up the long wheelbase van and maximize space.